Mackinac Island is a very popular destination during the summer months for a very good reason. It is a lot of fun to visit, is one of the few remaining car-free zones in the United States and there are many Mackinac Island activities that are indoor, outdoor and, yes, there are even free things to do. Oh, and there is fudge….lots and lots of tasty fudge. You can read about what to pack for a visit and things to do on Mackinac Island, but I also want to share some insider tips for visiting Mackinac Island. These tips are from those in the know….those that live on the island or visit quite frequently. The island is VERY pet-friendly..yay! 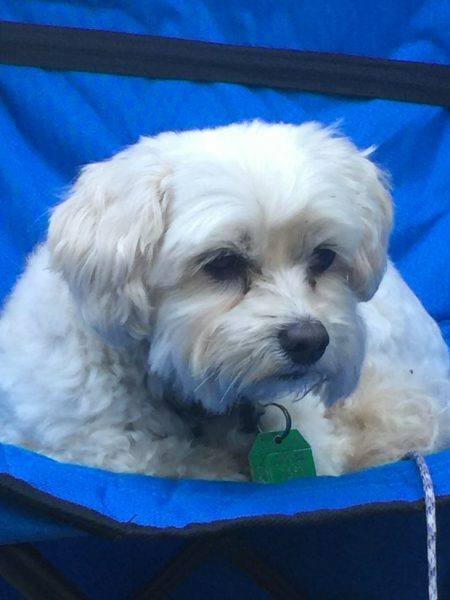 By the way, pets stay for FREE at Mission Point Resort. The locals like to hang out at Horn’s Bar and Grill for tasty Mexican food and margaritas. The best time to visit the island is during the shoulder season (May and September/October). Be wary of the end of May/first part of June as hoards of school children descend on the island for year-end field trips. The island is basically one giant hill, be prepared to exercise those glutes walking both uphill and downhill. Good shoes are a must. My favorite are incredibly comfortable, but not very fashionable, Merrell shoes. Hidden behind the Inn at Stonecliffe is Sunset Point. A well-kept secret for great sunset viewing, the public is welcome. The library has a small deck on the back offering excellent views of the Straits. Enjoy the view while reading a book. There are no stop signs or stoplights on the island so be sure to look before crossing streets and entering intersections. Beyond fudge, the island has 2 very unique sweet treats. 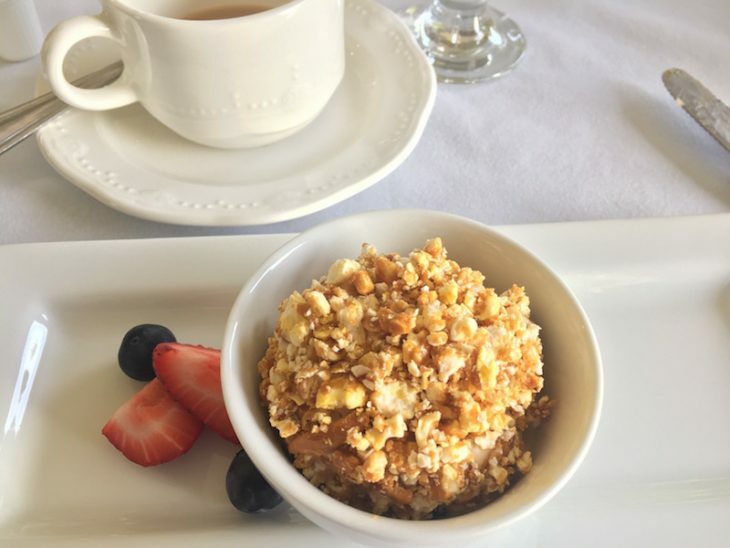 The Pecan Balls at the Tea Room and the Popcorn Balls at Stonecliff Hotel. I think it’s best to try them both to find your favorite. Mission Point Resort has the only map on the island that shows all of the Straits buoy systems in real time. Get your cup of joe at Lucky Bean Coffee on Market Street. Mission Point Resort offers wine tasting. 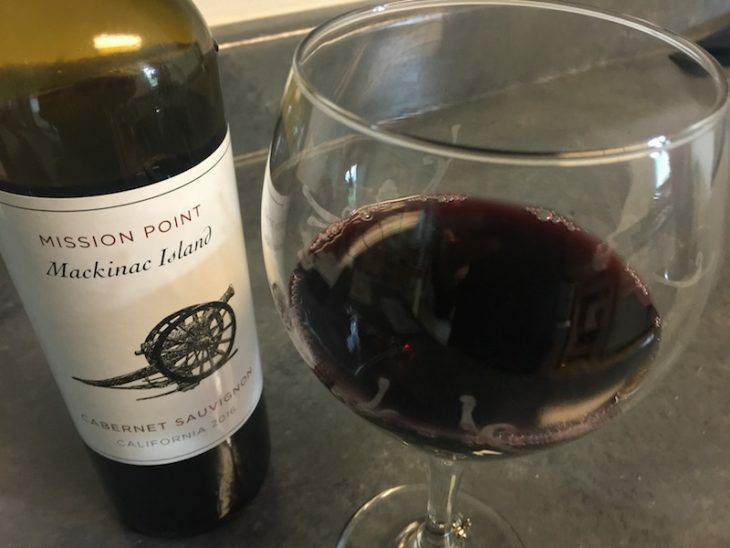 I may have brought home a bottle of the Mission Point Cabernet Sauvignon. Enjoy breakfast at the Chuckwagon, I heard it’s THE place to have breakfast on the island. Have a nightcap at the Cupola Bar at the Grand Hotel which affords visitors a million dollar view while they sip a cocktail or champagne. On that note, the Grand Hotel does not charge a fee for entering in the evening. If you find a “taxi” driver you like you can request them for your next ride. If you are planning to visit the Butterfly House, do it early in your trip as one admission gets you in for unlimited visits. 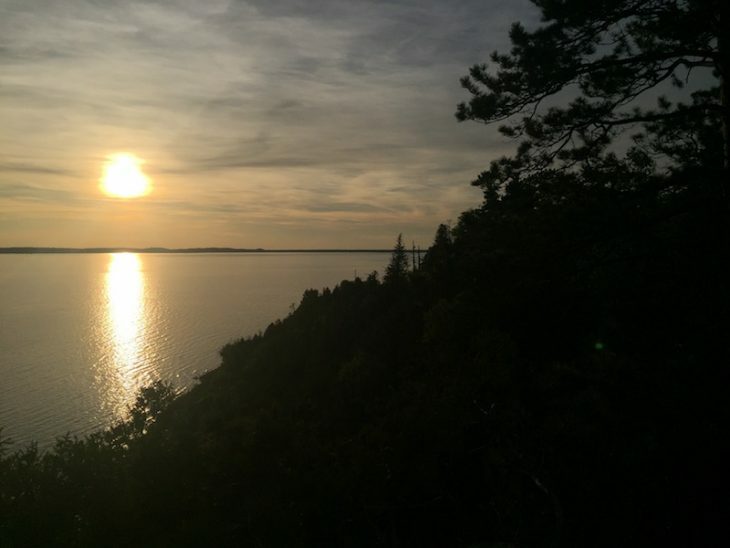 Hopefully, these tips for visiting Mackinac Island will make your time on the island even more fun! 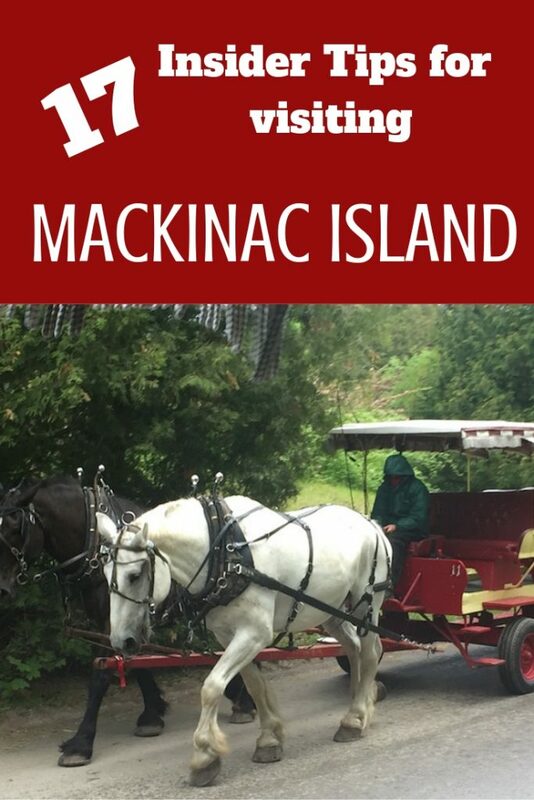 PIN INSIDER TIPS FOR VISITING MACKINAC ISLAND TO PINTEREST! I am planning a car trip from Chicago area to Mackinac island next August or September. My three sisters and I would like to do it in 4 nights. I was wondering if you have any suggestions of which charming towns along the way to spend the night. Should we spend a night on the island or try to just do a day trip there? We are an active senior group of girls so we have no trouble walking the down towns or some trails along the way. Thank you for any suggestions you may have. Hi Carol, I sent you an email with probably more info than you wanted but so happy to help. Hopefully, it doesn’t go to your spam box. it would be from deb at justshortofcrazy dot com.